Baseball Card News by DeansCards.com: WWII: The Boys go to War and baseball suffers. The following article was written by Dean and will be published in an upcoming issue of Sports Collectors Digest. War World II changed almost every aspect of American life and the production of baseball cards was no exception. With America’s entrance into World War II and a national rationing program, which included paper and ink, supporting the war effort, these great Play Ball baseball card sets came to an unfortunate end. In addition to paper and ink shortages, bubble gum production for domestic use virtually ceased. The reason was the war made it impossible to import the chicle and Siamese jelutong needed to make the gum. Gum, Inc. was forced to temporarily shut down. As the supply for bubble gum ceased, the demand for it greatly increased. Bubble gum was included in military ration kits. Believed to reduce stress and tension, gum was effective in keeping tired soldiers awake. Production of gum for domestic consumption stopped and savvy grocers who had accumulated a back stock of gum, marked it up to many times of its pre-war prices. Kids learned that if they put their gum glasses in water overnight, it would stay moist and could be re-used for several more days. In 1941, Joe DiMaggio hit safely in 56 consecutive games, Ted Williams batted .406, 41-year-old Lefty Grove got his 300th career win, and Dodgers' catcher Mickey Owen capped off an exciting season, by mishandling a pitch that cost Brooklyn the World Series. The popularity of baseball was at an all-time high in 1941, but that momentum would come to a halt with World War II. 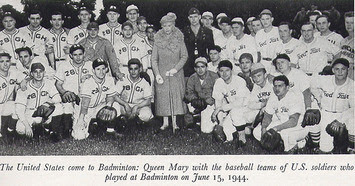 By 1942, the players began enlisting in the armed services and going off to war. As a result, the popularity of the game of baseball greatly suffered. Major League teams were forced to fill out their line-up cards with “has-beens” and players who would have never made it to the major leagues under normal circumstances. By 1944, the level of talent had become so depleted that journeymen like Nick Etten and Bill Nicholson won the home run titles of each league, with 22 and 33 HR’s respectively. That year, the lowly St. Louis Browns also won the only AL pennant in history of the team. 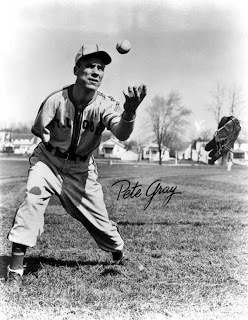 The Browns even made a run at the pennant again in 1945, with a one-armed outfielder named Pete Grey in the starting line-up for much of the year, but eventually finished third. In 1945, Snuffy Strinweiss of the Yankees won the AL batting title with a .309 average. Meanwhile, there were some great baseball games being played overseas. 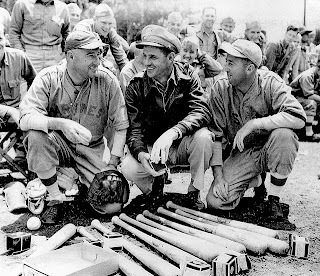 Most military units stationed in Europe and on bases in the Pacific, formed their own baseball teams. 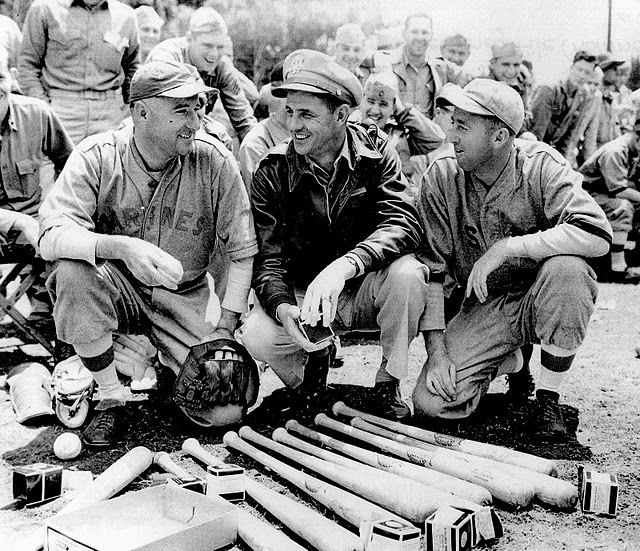 They were made up of major league players who were currently serving in those units to entertain the troops. By 1944, the soldiers on active duty and stationed far away, were seeing much better baseball games than the fans at home. Once the “boys of war” returned home, the diamond stars of the “war years” saw their inflated numbers quickly drop and most disappeared back into civilian life. Major-league attendance suffers During World War II, the number of people in the stands greatly diminished right along with the level of play on the field. The Brooklyn Dodgers led baseball with an attendance of 661,739 people for the 1943 season. In the seasons of 1943 and 1944, no team could reach the attendance milestone of one million fans. No one had TV’s at this time and the large revenues that today’s clubs receive from television contracts were non-existent. Almost all of a baseball club’s revenue was created by putting fans in the stands. Once inside the park, the fans could also be sold food, drinks and team merchandise. By the end of the war, few baseball clubs were actually making money. To truly put these anemic attendance numbers into perspective, one must compare baseball attendance during the war to the number of fans in the stands after baseball’s stars had returned to the game. For the five seasons after the end of the WWII, ten of the sixteen major league teams drew over one million fans per season. During the five-year period between 1946 and 1950, the “haves” and “have-not” of baseball clubs remained very consistent. The Yankees were the only team to draw at least two million fans every one of those years. Four of the six teams that drew less than a million fans each year, did not change. The Browns, A’s, Reds and White Sox never reached the one million attendance mark. Of these lowly teams, all but the Cincinnati Reds had a competing team (from the other league) located in the same city. The Washington Senators topped one million attendance marks in 1946 for the only time in the club’s history. 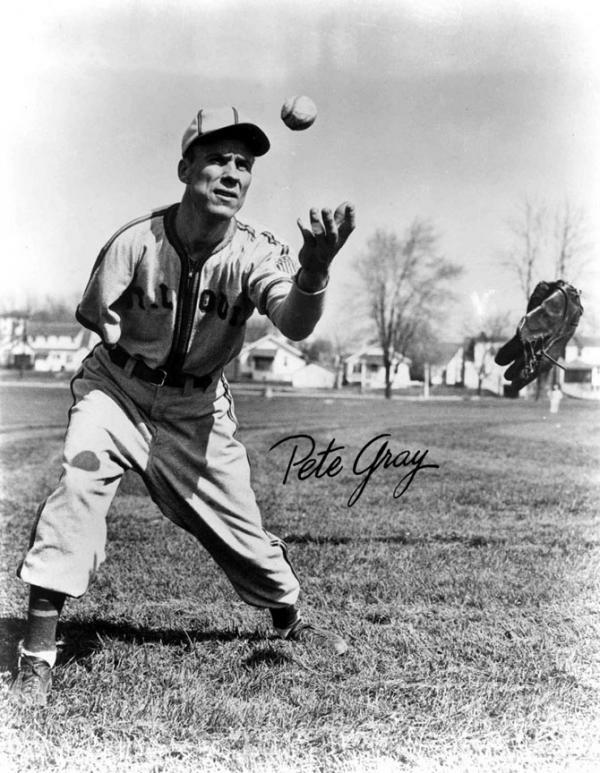 The Boston Braves just barely missed the one-million mark in 1946, but topped a million fans in 1947, 48 and 49. They barely missed the milestone again in 1950. The Pirates took the Braves spot in the “million plus” attendance club for the 1950 season. Of the six “have-not” teams of the late-1940’s, only three (Pirates, White Sox and my home-town Reds) still remain in their original cities today. When World War II ended, and the soldiers returned home; they married their sweethearts and started families in unprecedented numbers. Thirty-two million babies were born in the United States during the 1940’s, eight million more than were born during the previous decade. The great American “Baby Boom” was under way. The huge increase in the population of children was a boom for candy and bubble gum manufacturers. By the end of the decade, Americans were consuming 2.5 billion pieces of bubble gum each year, doubling the annual amount consumed before the war. With bubble gum booming in popularity, bubble gum manufacturers were consistently seeking new ways to creatively market their product. The ink and paper that was rationed during the war, was now readily available. Combined, with the built-up demand for bubble gum and never before seen crowds at the ballparks, the stage was now set. The baseball card hobby was about to explode onto the American scene as never before.